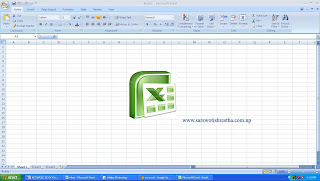 Excel is the replacement for the accountant’s columnar pad, sharp pencil, and calculator. However, you don’t have to be an accountant to benefit from Excel. If you have complex calculation to figure out, Excel can handle them easily. 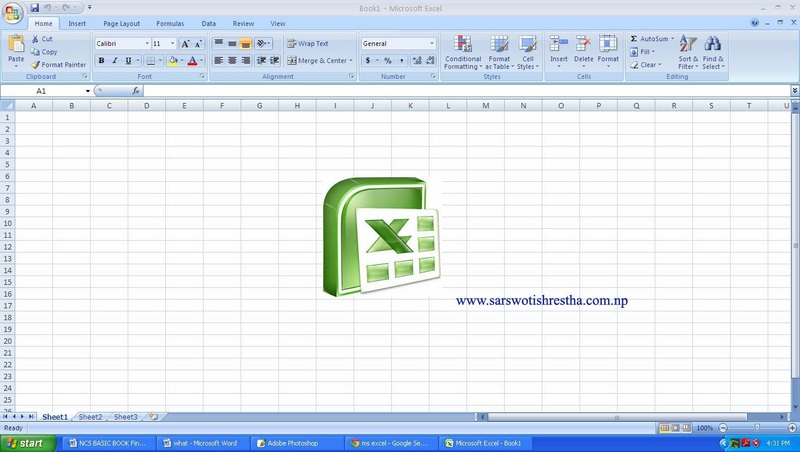 Even if your calculations are simple, excel will make working with numbers fun and easy . A spreadsheet is a rectangular grid of rows or columns. The columns are labeled with letter and the rows with numbers. The intersection of a row and a column is a cell. Each cell has an address, which is the column letter followed by the row number. When you first open Excel, you’ll notice that cell A1 had a border around it. This is the active cell. -Type text in the active cell. A flashing insertion point will appear at the end of whatever you type. You’ll notice that what you type will appear not only in the active cell but also in the Formula bar. -Press the Enter key. The cell below the current active cell will become the new active cell. The formula bar will be empty again because the new active cell is empty. You create a simple formula in a single cell, which adds two numbers together. First, make sure that the active cell is empty and located where you want the result of the formula to appear. -Type = (The equal sign) in cell A4. -Click on the cell A2, which contains the first number you want to use in the calculation. The number will be added to the formula in A4. -Click on the A3, which contains the second number to use in your formula. In formula bar, you will see the calculation that has been created. -Press the Enter key. The formula will perform the calculation, and the result will appear in the active cell. If you move pointer back up to the cell where the answer appears, you can see the cell contains the result , but if you look at the formula bar, you can see that it still displays the formula you created. Before you can work with many of the feature in excel, you need to know how to select cells. You can select a rectangular group of cells, called a range, in any of the following ways. -Click and drag over the selection. -Click in one cell and then hold down the shift key and click in the opposite corner of the selection. -Click on the Select All button the gray rectangle where the column and row heading meet, to select the entire worksheet. -Click in a column or row heading to select the whole column or row.